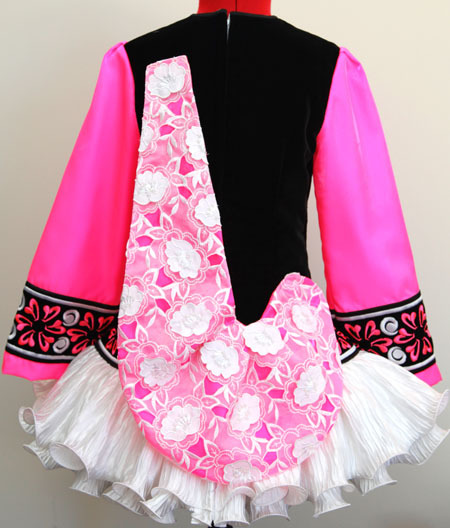 Black velvet bodice with fluoro pink and white floral embroidery design. 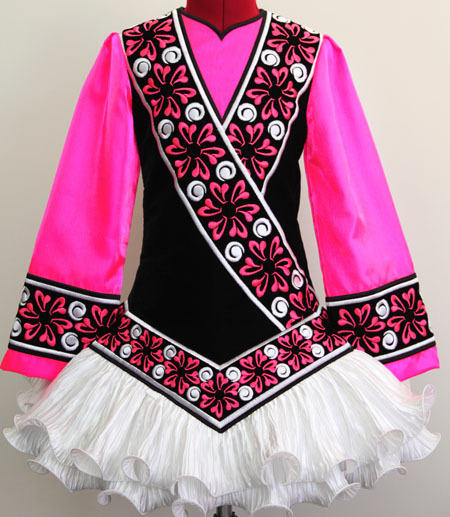 Vibrant fluoro pink twinkle satin bodice yoke and sleeves. Soft style shawl constructed from fluoro pink twinkle satin with white floral cut-work lace overlay. Bold black and white striped skirt lining.